Fall break started about midweek for Madison Campus Elementary and Madison Academy. For many in our community that means a chance to get out of town for a short time, or at least to get a small break. 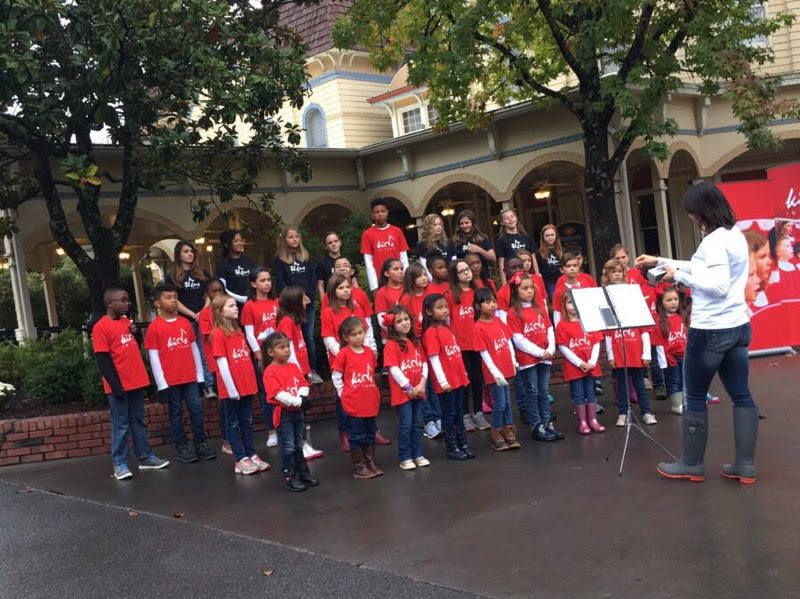 Be sure to check out my picture of the week which shows our very own, Kids in Tune, performing at Dollywood today. Hopefully, by now you know that on Sabbath, November 3, we will be having “Homecoming Sabbath.” The purpose of Homecoming Sabbath is to invite anyone who has ever attended Madison Campus Church to come back for a Sabbath of fellowship and renewed community. We particularly would like you to invite those who may still have their names on our church books but are not attending. We hope it will be a time for reconnection. Our church services and Sabbath schools will happen at their normal times. The church services will be planned to highlight Madison Campus’ amazing history and legacy. After church our social committee will be providing a meal out at Paradise Ranch followed by an outdoor concert and animal show for the kids. The meal will start at 1:30 pm, the concert will be from 2:30-4:30 pm, and the animal show will be from 4:30-5:30 pm. This will be a fantastic time for fellowship! 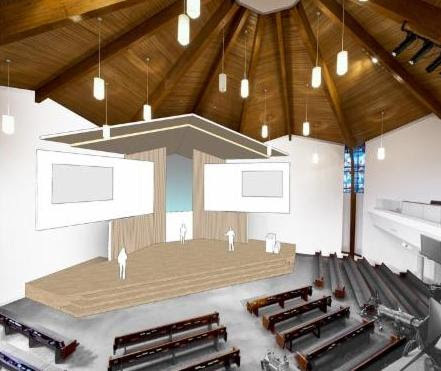 This is a picture of what our church sanctuary could look like with some renovations. A final color palette has not been selected so the colors in this drawing are only to help give you an idea. One of the things you may notice is that the platform is enlarged which gives us more space for choir, orchestra and other musical and drama events. For more information about the renovation project please look in our church lobbies. There will be handouts and display boards explaining the proposals. Our business meeting is scheduled for November 10 at 5:00 pm. Click here to read Madison Academy’s weekly newsletter. 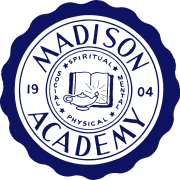 Click here to read Madison Campus Elementary’s weekly newsletter. IS THIS A MINISTRY FOR YOU? There will be a church business meeting, Sabbath evening, November 10th at 5 p.m. Main agenda topic will be the church remodeling project. Do you enjoy doing graphic design, taking pictures, writing news articles, shooting and editing video? We are looking for people with these skills to assist our communications team. Please email Justin Sharp to find out how you can help. Christopher, Alicia, and Matthew Dellen will have a sacred solo and duet Piano Concert on November 17, at 4 p.m. here at Madison Campus Church. Christmas is coming and that means our annual Christmas play is right around the corner. We are also looking for actors to help fill out our cast. If you are interested in participating, please contact the church office and provide your phone and email information so we can contact you with details. Have you heard God’s call to ministry, but you feel that your busy schedule doesn’t allow you any time to serve God in a special way? How about a mission project where you could set your own hours? In an effort to increase financial support for current ministries and to help support future ministry plans at the 403 Center, we would like to maximize our Thrift Store sales through Social Media Advertising. If this would appeal to you, contact Karen Baker @ 615-516-8631 or David Bell @ 615-389-9692. Come see our church’s booth at the Buddy Walk, Sabbath, October 27, 10 a.m. to 3 p.m. at The Hermitage. This family friendly event benefits the Down Syndrome Association of Middle Tennessee. The Sharp family will be walking as Team Lina. Register to join them at: https://dsamt.donordrive.com/team/lina. Naomi’s fellowship will meet Sunday, October 28, in the downstairs fellowship hall at 2 p.m. Celebrate Recovery needs additional folks who could help provide child care on Monday evenings. We have folks attending who need to bring their children with them, and the child care you can provide would go a long way toward their road to recovery. Even if you can only help in this area one week a month, you would be making a huge impact in the lives of the children as well as the CR attendee. Please contact Dan Davis, 615-202-4839 for more details. Join us in reading through the Bible together as a family. Even if you haven’t done the readings so far, it would be great to have you start now. I think there is a real blessing in reading the Bible together. Hard copies of the Bible reading plans can be found at the kiosks in our lobbies. Here is a link to the online Bible reading plan for October, Let’s Read the Bible Together. There are new printed (white) copies on the kiosks also. Nov. 10: Church Business Meeting at 5 p.m.
For a detailed calendar of all MCC events click the calendar button. Kids in Tune was at Dollywood today, living our church’s mission to love God, love people, and serve the world. Photo credit goes to Michelle and Ethan Jones. Thanks so much to the entire Kids in Tune team that does such a fabulous job! In the last several weeks the weather has turned cold and damp. You probably have turned the heat on in your home and made some preparations for the colder months ahead. Tonight feels like a good night for hot soup and family time indoors. As humans we are usually very aware of the seasons and what each one means. You don’t do the same things in the summer as you would do in the winter. Even while fall and spring have similarities there is still a different set of expectations and things to do. When we talk about the “seasons of life” we often think of different age categories. While this is true, there are also other seasons in our lives. Have you come to see there are seasons in your spiritual life? There is spring where everything feels fresh and you see quick growth. Summer is a comfortable time where growth has slowed but you can see the harvest coming. In the fall of our spiritual lives there is the pay-off to time invested with God and the hard work of spring and summer. Winter can be a discouraging time. Sometimes we feel like our relationship with God has died and we wonder if everything that happened over the spring, summer, and fall was just a one time occurrence and we are destined to live in winter in perpetuity. It is important to remember that winter has its purpose and it does not last forever. Whichever season you are in spiritually, remember that it is God who has set each season in place. He has a plan for the season you find yourself in. Each season is growing you into His ultimate plan for your life, both on this earth and in the world made new. Remember to live our mission. Love God. Love people. Serve the world.